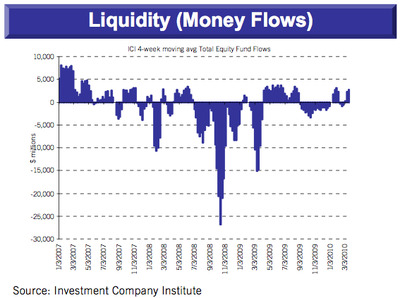 Inflows are back for U.S. domestic equity funds. They received a net $1.55 billion in new investor money during the week ending March 17th. 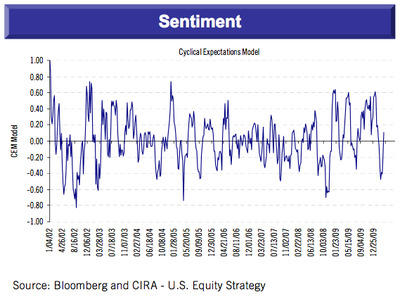 At the same time, sentiment, as measured by Citi’s Cyclical Expectations model, continued to climb. There go the days of feeling like contrarian bull.